Google has rolled out new feature to reduce your data usage by using optimized webpages by Google servers. Opera Mobile has been providing such feature for a long time, and now Google enters into compressed/Cached browsing. Lets look at how to enable this on your Chrome Beta for Android. Compressing the web pages on a centralized server and feeding to the Mobile browser is the efficient way to reduce the data usage on Mobile phones. Opera has been pioneer in web page compression and now Google has rolled out the similar feature on its Beta Channel Chrome Browser for Android. Yes this new feature is only available on the Chrome Beta for Android, not on the regular Chrome App for Android. 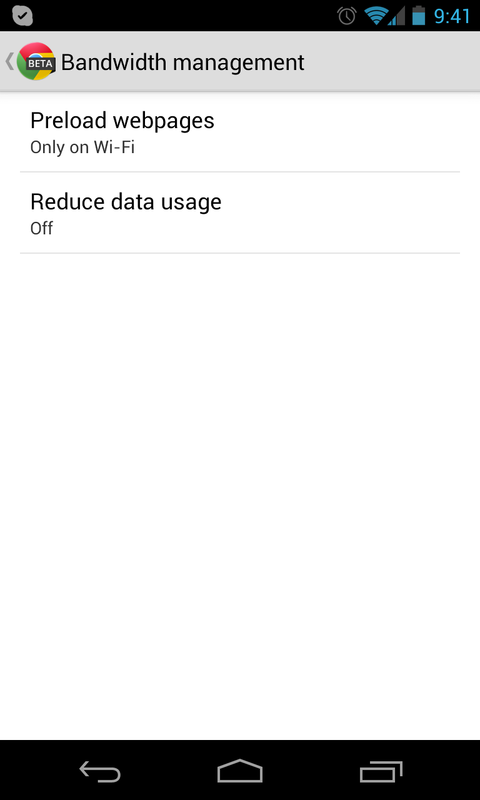 You can enable this feature on Chrome Beta by going to Settings --> Bandwidth management --> Reduce data Usage --> Enable the Feature. Note that the compression works only on data usage like 2G/3G/4G data services. If you are in Wifi you will continue to get regular pages. Chrome Beta also give a nice statistics on how much percentage you have saved by enabling this feature for a specific period.